Fortnightly liquid feed from summer. Borage, Lovage, Marjoram, Nasturtium, Peas, Beans, Sunflower, Sweetcorn and Tansy. Sow under cover in pots in late winter or early spring. Plant out after last frosts. 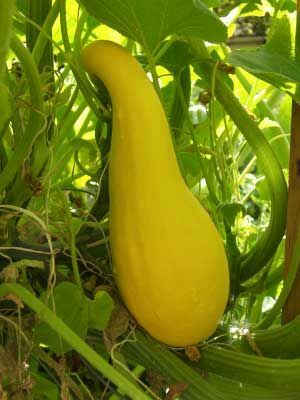 One or two plants is plenty - they will usually produce several squash over a season. Harvest regularly when the squash are not too large; this encourages more to grow.